We are pleased to announce the launch of our brand new website for helping in the search for lost and found pets. We have updated all areas of the website from the design, usability, messaging system to a vastly updated and improved members area. All these have been developed to improve the experience of using the NMPR website. NEW members area for listing your lost and found pets and registering pets. NEW instant message alert notification in the top bar on every page on our website if you are logged in. NEW save the pet listings you are watching to your saved pet favourites list for easy access at anytime. NEW saved searches, if you regularly use pet search options for area and breed, pet type etc, you can now save this search for one click viewing. IMPROVED messaging system with email notifications. 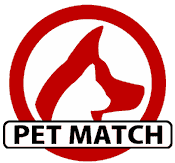 IMPROVED our Pet Match feature so that it now gives two sets of matches, close matches and a wider search which returns any general matches to the pets you have listed. IMPROVED access to all the members features via the new members bar at the top of each page when you are logged in. Easier access to all our lost and found pet registers, I bet you did not know what we operate 18 different pet registers for pets. These are now easily access from the Missing Pet Register and Found Pet Register pages. I hope all members like the new website as its taken a couple of months in the planning and developing and as always, if you have any problems with the website or would like to see new features added, please let us know. Once a lost or found pet is approved, on the pet listing page, towards the bottom of this page there will be displayed pets which have matched the criteria of the added pet. So if a pet has been listed as missing, then matching found pets will be displayed and vice versa, any found pets added to the system and matching missing pets will be displayed. National Missing Pet Register has gone Mobile! We know that a very many number of members use the NMPR website via a mobile device so we have catered for this in the new site design. So rather than having different Apps which would make much more work for us, we have decided to go down the responsive website design route, which basically means the website will be automatically be adapted depending on the type of device you are accessing our website on. All aspects of your account can be managed on a mobile device, whether it is an Iphone, Android or tablet, we have catered for all mobile devices and by having access to the National Missing Pet Register website from a mobile means you can access the site at anytime from anywhere. We use QR Codes on our printable pet posters so all pet listing pages are designed for mobile viewing so you can see all the pet listing information in an easy to read format, by simply scanning the code on the pet poster. So why not turn on your phone, fire up the wifi and try out the website on a mobile... and if you encounter any issues, please let us know! We have A4 posters and A6 leaflets which are available for any pet shops, veterinary clinics, groomers, pet walkers and any other outlets who would be happy to help us by placing a poster in their workplace or having a few leaflets on their counters. This will help us greatly to reach a wider audience and re-unite even more pets by spreading the word about our services and pet registers. Please contact us with your name and address and I will ensure a pack of leaflets and poster are in the post to you right away! It is a sad fact that many pets go missing every year, whether simply wandering off or getting lost. There is no doubt that this causes a great deal of anguish for the family including the respective children of the household. However there is now hope, thanks to an innovative website which has recently started to use the popular twitter website as an additional means to reunite pets and owners. That website is www.nationalpetregister.org. For anyone who has lost a pet will know, the most difficult problem is how to get the pets details noticed and raise awareness of the plight of the missing pet. One way many adopt is to post flyers in a variety of locations whilst searching. However a much more potent and innovative way of raising awareness and one that has had a remarkable level of success is the national pet register. This free service has won rave reviews and plaudits from many of its growing number of visitors. It enables the pet owner to place details of their lost pet onto their website which is seen by thousands of people and organisations, thus providing a suitable effective platform by which the lost pet can be found and reunited with their owner. If you have been unfortunate enough to lose a pet, then one of the best ways to try to find your beloved pet is to use the national pet register. It is an unrivalled service which offers help and advice as well as ultimately provides one of the best ways to find your pet. Thousands of UK pet owners are aware of the risks associated with having a pet, but many seem reluctant to join an online missing pet register database mainly due to the subscription fees required to be paid in advance. The UK National Missing Pets Register offers today to all UK animal lovers the opportunity to protect their pets by joining its community for free. The UK statistics on missing pets are shocking. Thousands of pets go missing every year and many never make it back home. All UK pet owners have to keep in mind that their pet's safety is on their hands. Being proactive and staying on alert can be a matter of life and death for a missing pet. The UK National Missing Pets Register has created a unique system to help pet lovers safeguard their companion's whereabouts. By visiting the http://www.nationalpetregister.org pet owners can register their pets' information for free. This quick and easy online solution provides pet owners with a unique Pet ID number - that can be engraved on a pet's collar and lead it back to the arms of its lawful owner. In addition, the Pet Register serves as an online pet community with forums and missing pets rescue web directory, available 24 hours a day, 7 days a week, the unique Pet ID number can be published over the UK National Missing Pets Register server and highly increase the pet-owners' chances of being reunited with their lost pet sooner than expected. Our missing pets database is the largest free pet listing service and is searched daily by Police, Vets, Animal Shelters, Pet Clubs and members of the public in ALL areas of the UK.